Someday there will be a boxing film that focuses on an overweight and lazy fighter that couldn't be arsed even getting off the couch but Southpaw is definitely not that film. 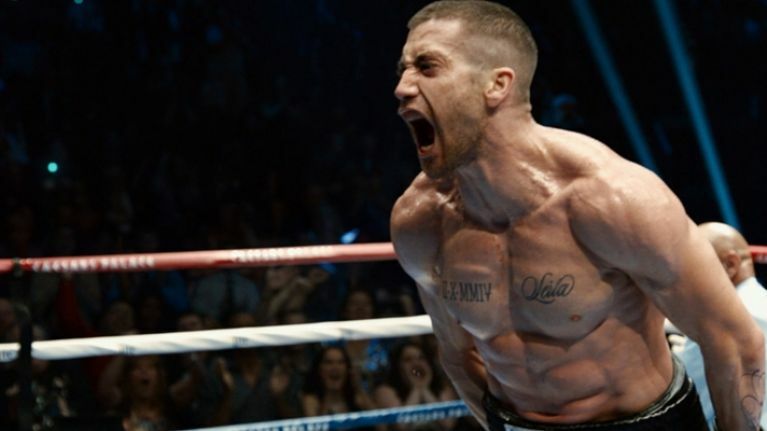 We've already seen the trailer that showed Jake Gyllenhaal's remarkable transformation into fictional boxer Billy Hope and the actor has revealed exactly what was required in the gym to get into such fantastic shape. Gyllenhaal threw himself into an intense eight month training period that included flipping a 300-pound tractor tire and doing 1,000 situps a day among other gruelling routines. Take a look at how he managed to gain 15 pounds of muscle. Southpaw is released on July 24 and it looks like it could be a knock-out.